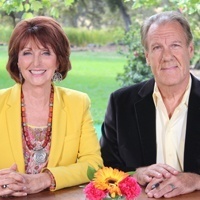 For 15 years Judy Brooks and Roy Walkenhorst have been on, yes, a quest for the most practical, most useful information on natural health and wellness. They’ve traveled the world, interviewing experts from virtually every discipline: physicians, research scientists, holistic healers, farmers, chefs, shamans, yogis and more. They’ve distilled this knowledge into the Healing Quest TV series which is seen on PBS stations from coast to coast. They have recently launched Healing Quest Radio on KFBK AM and on iHeart Radio where you can find all of their Podcasts.